A messed-up dad who's in jail. Angst-filled childhood memories. A rocky romantic relationship. Weird dudes at the bar. Some players go to video games to try and escape this kind of stuff but one person's using GTA V to create a life filled with it. 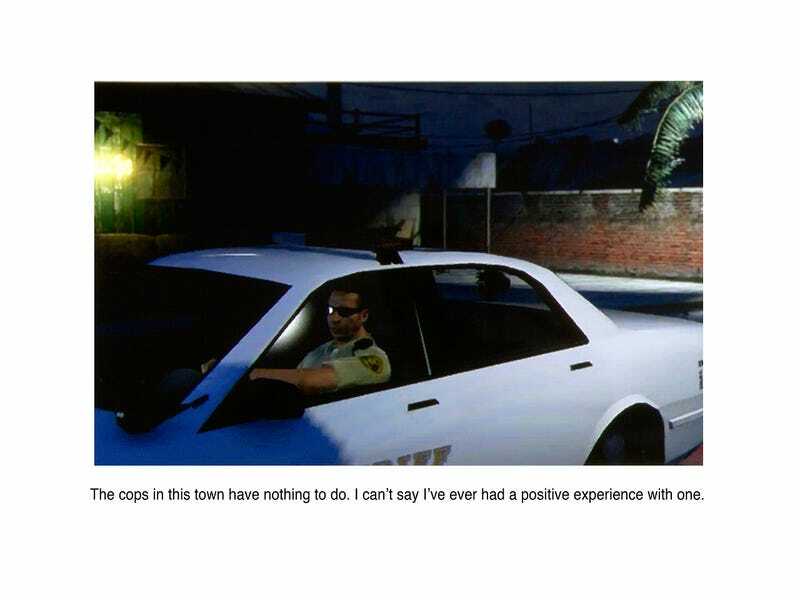 You can see the outlines of a normal—if very sensitive—picture-taker in the pictures taken inside Los Santos by photographer Casey T. Brooks. The captions on You Only Live Forever give just enough context to let you imagine the comfortable mundanity of the life of the person behind the lens. This kind of car-chase-free existence isn't at all the norm for most of GTA V's fictional inhabitants, which is what makes the photographic essay so oddly compelling.